Safaree took a birthday picture with the alleged thief. It's been a tough month for Nicki Minaj's ex-boyfriend. Safaree was robbed of $175k worth of jewelry earlier this year. While visiting Angie Martinez, Safaree got emotional and stated, "I had two big [chains]. The heaviest thing was the AP. Flooded. $60K." Luckily, his diamond flooded pieces were insured, and the men behind the robbery were apprehended by police. Now, TMZ reports that one of those men was a childhood friend of Safaree. Law enforcement captured the two men after a car chase led them down the George Washington Bridge from New Jersey to New York. One suspect crashed their vehicle and attempted to escape on foot, unsuccessfully. Both Jonathan Ricketts and Shawn Harewood were arrested for the alleged robbery. According to TMZ, Shawn Harewood was a childhood friend of Safaree. 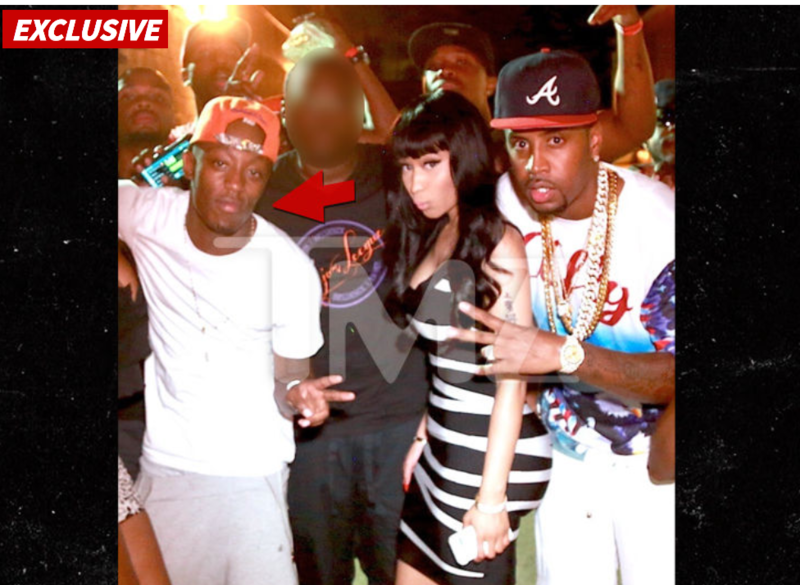 The site even dug up a picture of Safaree, Nicki Minaj, and Harewood during what sources say was a birthday celebration in Queens between 2011-2012. Allegedly, Safaree and Harewood were friends since the "Hunnid" rapper was 14 years old, but the two stopped speaking after Nicki and Safaree broke up. James Leonard Jr., who is Safaree's lawyer, told TMZ that the robbery was not a random occurrence. Although T.I. may have little sympathy for Safaree, you have to admit, he was right about this being a cold world.